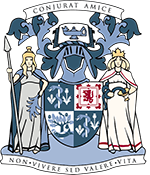 We’re once again getting ready for our annual Incorporation of Gardeners’ Lecture, which will be taking place on the 27th May 2015. 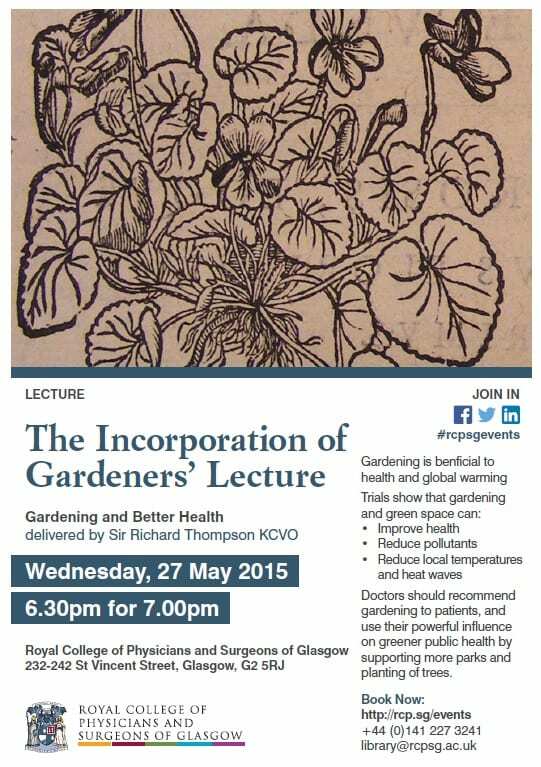 The Incorporation of Gardeners’ Lecture commenced in 2008 and the topic is generally centred around plants and medicine – this year’s lecture, which will be delivered by Sir Richard Thompson KCVO, looks at the benefits of gardening to health and the environment. Doctors should recommend gardening to patients, and use their powerful influence on greener public health by supporting more parks and planting of trees. Refreshments will be available from 6:30pm. The lecture begins at 7pm. The event is free but places are limited so please book to avoid disappointment. All welcome!